Rodríguez-Labajos, B., Martínez-Alier, J. (2013). 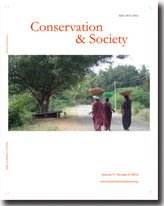 The economics of ecosystems and biodiversity: Recent instances for debate. Conservation and Society, 11: 326–342.